Due to the new Fall Recruiting Restrictions teams should plan on staying as late as 6:30 PM on Sunday. There is no more recruiting on Friday so they will be there all day Saturday and Sunday as evidenced in 2017 all fall. Sunday at our tournament is the last possible day to recruit. Plan accordingly. 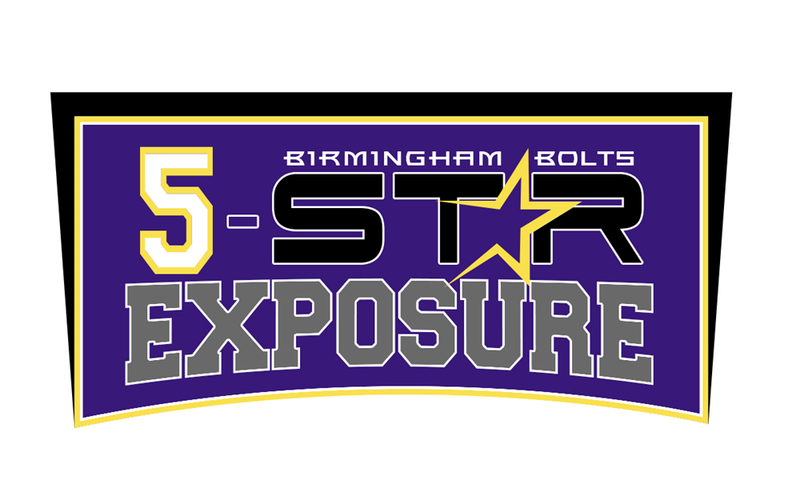 Welcome to the Birmingham Thunderbolts 5 Star FALL Showcase! Click "ENTER EVENT" to begin registration today! All Games are tentatively scheduled for Montgomery Alabama Fields. 18U will likely be at Fultondale again. 4 pool single elimination. The Birmingham Thunderbolts are known nationwide for presenting top teams for national events and have drawn the attention of college scouts across the country. The T-Bolts would like to invite your club to join them in this event held in partnership with Legacy Event Management, LLC. If a team withdraws before the release of the schedule you will receive a full refund. If a team withdraws after the schedule is released the team will not receive a full refund unless the tournament staff are able to replace the withdrawn team and receive full payment from the replacement team. We are under no obligation to replace any team that withdraws or is removed. 1. 100% credit for a future event.